Garmin has recently been proving to be the leader in GPS watches in recent years with the Forerunner 910XT that has been the favorite of triathlon runners, and the Forerunner 620, which had advanced analysis of various training aspects added onto its list of features. There’s also the Fenix 1, an outdoor sport watch that had its focus on exploration. If Garmin were to roll all these features together into one super outdoor multisport training watch, you would have the Fenix 2. According to Garmin, the Fenix 2 is “the ultimate multisport adventure watch,” and that might very well be true. Although it’s still big to support all of the features, the Garmin Fenix 2 is smaller than the original Fenix, making it more suitable for daily use. The battery is one of the most powerful yet, lasting up to 5 weeks in normal mode and a whopping 50 hours in GPS mode, depending on how many of the features you’re using. It’s face is scratch resistant and the watch is waterproof up to 50 meters. Of course the Fenix 2 has ANT+ capabilities and can link to and record data for a number of different sensors, including heart rate, temperature, and cadence. It also has Bluetooth 4.0 capabilities and can connect directly to your smart phone. The numerous outdoor / adventure features of the Fenix 2 are about the same as the Fenix 1. Some of these features include an altimeter, a 3-axis compass, GPS breadcrumbs, up to 10,000 track points, up to 1,000 waypoints, a barometer, plus mapping and navigation. It also has a program called TracBack, which can help lead you back to the starting point of your hike in the event of you getting lost. This is a great feature to have if you frequently explore new trails or go hiking in areas where the trails are not clearly marked. The Fenix 2 can also provide you with information on the sun and moon positions, give you hunting and fishing calendars, and allows you to upload adventure routes onto the device. It can also display multiple time zones and help you go geocaching. Two of the most notable additions of the outdoor features are the Ski-Board mode and the XC Ski mode, both for use while skiing. Ski-Board mode allows you to track your three-dimensional speed, which is calculated by measuring your horizontal distance and vertical drop, and your distance. And, so you don’t have to worry about stopping and starting the recording while you’re on the lift or waiting to go, the Fenix 2 automatically pauses when you’re standing still or on the lift. If you’re worried about where you would wear the Fenix 2 while skiing, don’t. It comes with a strap expander so you can keep it on the outside of your jacket. The Fenix 2 takes the best features from several other Garmin watches, starting with the Fenix 1. The Fenix 1 was great for outdoor adventures, but didn’t do much for the runner or bicyclist, the additional sport features basic at best and glitchy at worst. 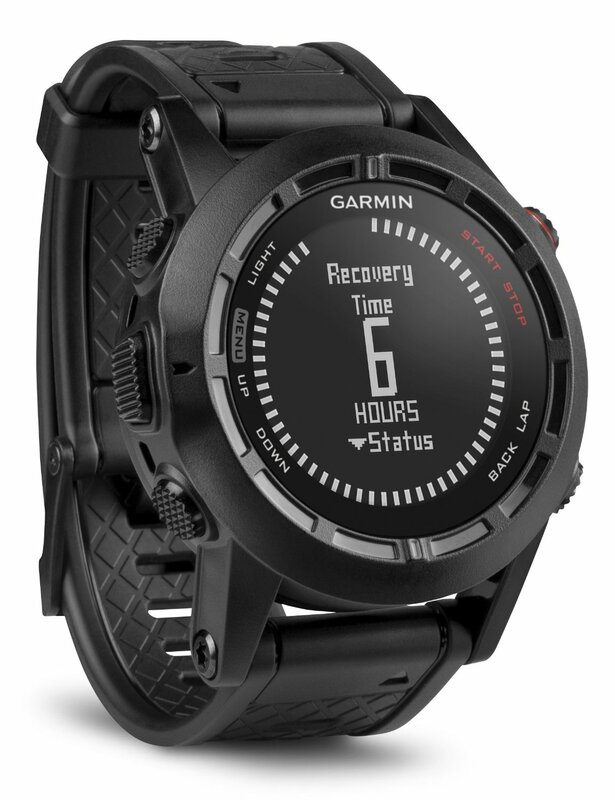 The Garmin Forerunner 910XT, on the other hand, was hailed as the best triathlon watch since its appearance in late 2011, having features that do everything from record your pace, distance, and heart rate while running to tracking stroke count, pace, time, and interval distance while swimming either inside or outside. The Forerunner 910XT also could track pool lengths, detect stroke type, and calculate the number of strokes per lap. The Garmin Fenix 2 took all of these great swimming features and added them to the adventure capabilities. Another watch that the Fenix 2 has stolen the best features from is the Garmin Forerunner 620, which is considered to be one of the best running training watches. Some features the Fenix 2 stole were tracking running cadence which is easily one of the most important training aspects, estimating your maximum level of VO2, estimating your necessary recovery time between workouts, and predicting your finishing time for marathons. 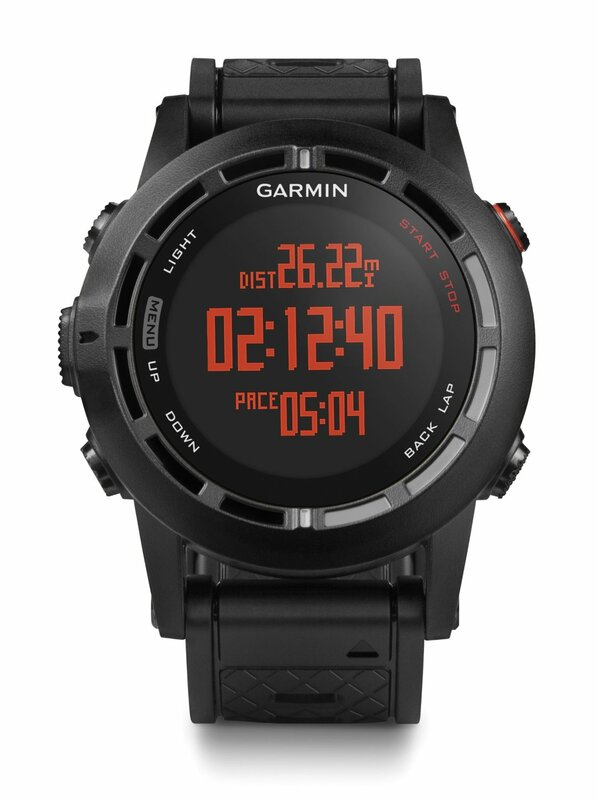 All of these features, as well as the detailed analysis it gave of your running form based on ground contact time and vertical oscillation when paired with the Garmin HRM-Run heart rate monitor makes this watch a valuable training partner that can actually help you become a more efficient runner. Beyond that, you can download training programs and workout plans from the computer. Despite its numerous features, the Garmin Fenix 2 is actually quite easy to use. It took another feature from the Forerunner 620, which was the simple button layout. This is a huge relief as the original Fenix had a complicated button navigation system which made it easy to make mistakes and difficult to accomplish what you were hoping for. If those weren’t enough features for you, here are a few more things that the Fenix 2 can do for you. It can be used as a remote control for the Garmin VIRB action camera, and it can be synced to an iPhone 4S or later so you can receive phone calls, text messages, and email notifications on your watch. That way, you can keep your phone in your backpack while you’re running, bicycling, or adventuring without having to worry about missing anything important. This feature is also expected to be coming to Android systems in late summer of 2014. In terms of pricing, the Fenix 2 is very competitively priced. It starts at just $400 for the watch only, or if you want to add on the HRM-Run heart rate sensor, it’s $450. The original prices of the Fenix 1, the Forerunner 910XT, and the Forerunner 620 were all $400. The Fenix 2 is taking all the best features of all three of them and combining them into one watch, but is keeping the price the same, so you’re essentially getting great swimming, triathlon, running, skiing, bicycling, hiking, and outdoor watches all rolled into one amazing watch. The only competitive watch that comes close to the Garmin Fenix 2 is the Suunto Ambit 2. It does have most of the swimming features of the Fenix 2, but it doesn’t work as well for tracking triathlons on race day. Although it does boast having more flexible software with over a thousand different apps created by users that you can install, it doesn’t have Bluetooth capabilities and the starting price is $500, making the Garmin Fenix 2 the only smart choice for multisport athletes. This is the watch many people have been waiting for, because so many people do more than one sport, which unfortunately has meant needing different sport watches. But now, Garmin has heard the cries of the multisport and adventurous people, and they have answered with the Fenix 2. 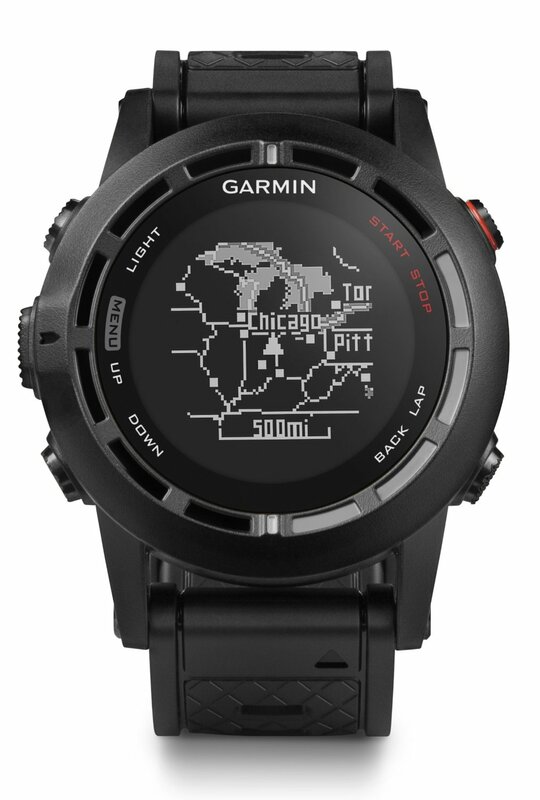 Thanks to Garmin, you can throw out your old collection of watches and switch to just one watch, that’s small enough for everyday use, strong enough for extreme sports, sensitive enough to track numerous physical aspects while you go, and intuitive enough to give you detailed reports on all of your activities. This entry was posted in Garmin GPS Running Watch and tagged Garmin, Garmin fēnix™ 2.